Start with one of the included exercise routines, browse the Community for shared routines from other users, or create your own with the built-in editor and exercise database! Your entire workout routine in one view- no paging through endless screens and controls. Exercise, sets, reps, previous records- it's all there at a glance. Busy gym? Skip around, there's no fixed order or flow and you can add more sets and rearrange exercises on the fly. No account sign-up required, LiftRep even works completely offline! If you join the free LiftRep Community, your profile is by default private, even if you log in with Facebook. Turn on just what you want to share- routines, training logs, and/or measurements. Work with supersets of two, three, or more exercises? So can LiftRep. Fractional weights? LiftRep can log it. Watching your figure? Create a LiftRep profile with your weight, bodyfat, and body measurements. Got more ideas? Let us know in the Feedback section. It's not just for bodybuilders. Strength training is critical for all of us. 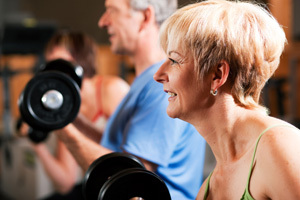 Every day, more men and women of all ages are discovering the benefits of adding strength training using weights, resistance bands, or machines to their exercise routines. It's not just about building muscle- stronger bones and a higher metabolism for fat loss are just some of the potential benefits of strength training. Muscle-strengthening activities provide additional benefits not found with aerobic activity. ... all the major muscle groups should be done at least 2 days a week. 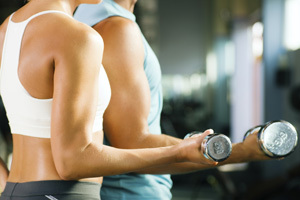 The American College of Sports Medicine, the American Heart Association, and the US Department of Health & Human Services all agree- adults should perform strength training exercises that work all the major muscle groups in the body at least twice a week. And yet, only 21.9% of adults in the United States met this guideline in 2008.